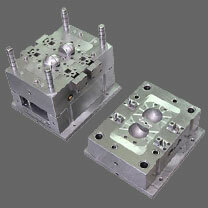 Home » Wiki » What is Injection Mold? The injection mold is the tool to form the plastic into designed shape and measurement, it makes massive production in our time much more economical and efficiency, it was called the mother of industrial. You can't imagine how ordinary people afford a car if the components are made by bare hand. Look around wherever you are now, you see a lots of things made in plastics. They are all come out of injection molds. Basically, molds consist of 2 main parts: the cavity and core, the cavity side forms the major external surface, core side forms the external features of the molded part, during molding processing; the core and cavity will be separated so the part can be removed. 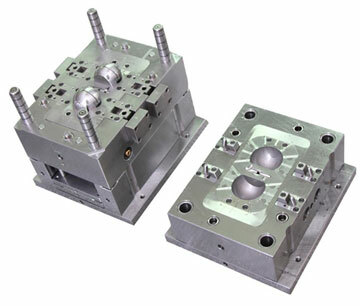 Ideally the part can be molded by the cavity and core directly. But in a lot of occasion, besides the cavity and core, it requires complicated mechanisms when the molded objective is complex, mainly it's because the parts cannot be released completely by 2 directions, it was called undercut, which can't be released by the core and cavity directly, there are lifters and sliders, a series mechanisms are design to release the undercuts, so any success of injection mold depends heavily on the design.